The holiday season is a time many spend indulging in special meals and treats. As a dialysis patient, these foods may seem off limits, but Satellite WellBound dietitians and nurses encourage their patients to partake in the festivities keeping moderation in mind, and enjoy the holidays with kidney-friendly alternatives to traditional meals and desserts. Certain foods can be modified to limit sodium and potassium, opening up some more options for patients. 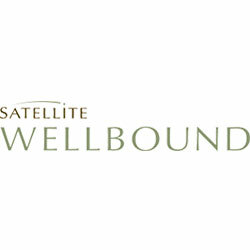 A couple options Satellite WellBound suggests are using soy protein in place of meats to reduce sodium, and experimenting with different herbs and sodium-free seasonings to replace salt. In a small bowl, add 2 teaspoons lemon juice or vinegar to ½ cup skim milk to make sour milk. Set aside. Beat egg with sugar, sugar substitute and molasses until fluffy. Mix sour milk, margarine, sifted flour, baking soda and spices together. Add egg and sugar mixture and beat until smooth. Bake in an 8-inch greased pan at 350°F for 25 to 30 minutes. Cut bread or rolls into 1-inch slices. Place on cookie sheet in warm oven and heat until dry and toasted. Place piloncillo in pan with water, cloves and cinnamon stick. Heat until sugar dissolves. Add margarine. Line a large, shallow baking dish with the bread slices and top with &frac13; of the cheese, raisins and peanuts. Repeat, making 3 layers. Remove cloves and cinnamon stick from syrup and pour syrup over the top layer. Top with rainbow sprinkles. Bake at 275° F for 45 minutes. Combine first 4 ingredients in a blender or beat with an electric mixer until well mixed. Chill thoroughly. Serve with a sprinkle of nutmeg. Makes 6 servings. Pour cider into a slow cooker and add spices and sugar. Heat on low for one hour. Serve in mugs. Nutrition facts for each recipe can be found at the links provided above, as well as additional recipes.